Awww … Sunday. It’s actually never quite as relaxing as I think it should be. Anyone else? 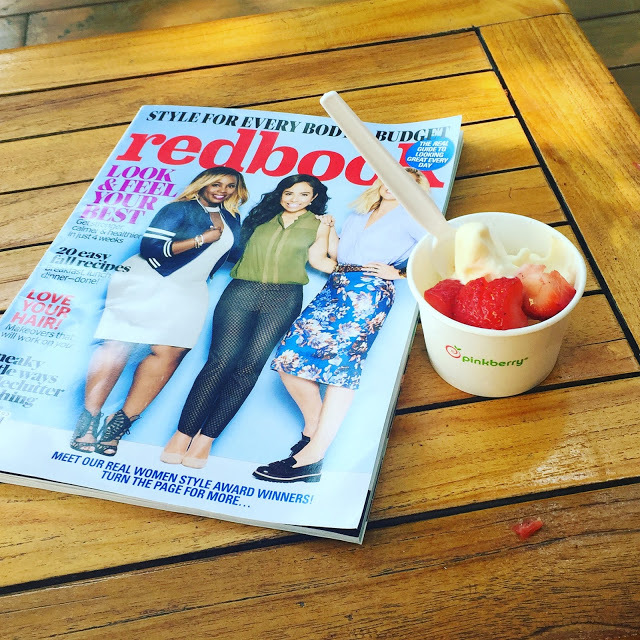 But this weekend I did take some time to check out my blogging buddy, Bertha’s (Chic in Academia) feature in Redbook magazine. Did you see it? 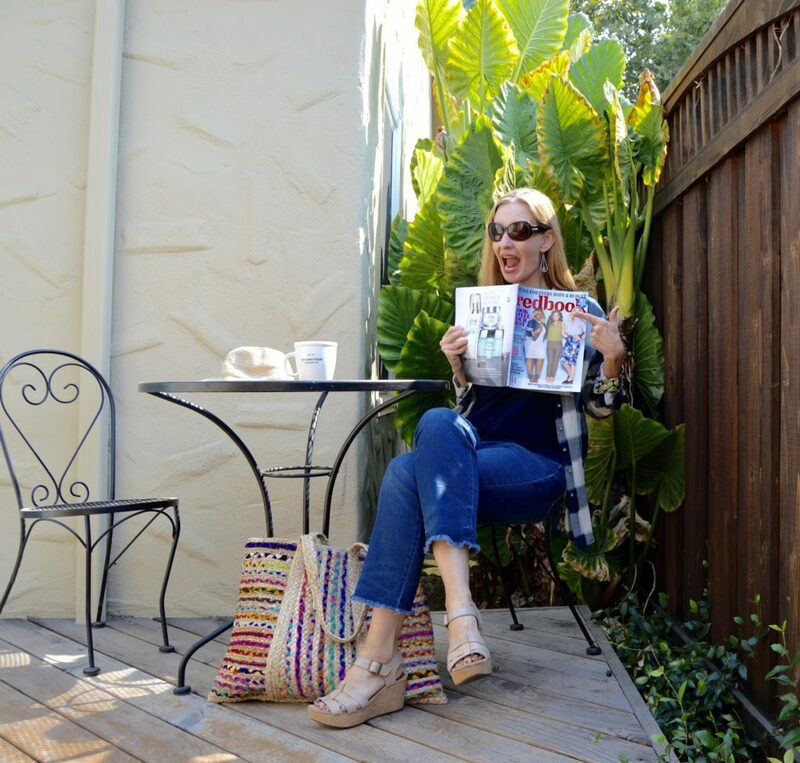 I took the magazine with me in my huge Uncommon Goods tote. Everything fits in there! I ran a few errands and hey, it is my fault that our Best Buy happens to be part of Santana Row Shopping Center? So I walked around a bit and even stopped for a little Pinkberry treat. Have a wonderful start to your week, Ladies! Great Sunday Fun-day look! And love your bag from Uncommon Goods!!! Gorgeous outfit for a city. Comfortable and stylish. Great! u look so cute, i love ur shirt! Wow! Loving that painted wall with the ironwork – what a great blogging background! Great shirt! Great bag! And great Scott, why do I not have the September issue of Redbook?! I am always on top of it with my Redbook. It is my favorite magazine! I really need to renew my subscription so I don't miss anything. you are too cute! fun post! I love seeing blogger success!! So awesome! 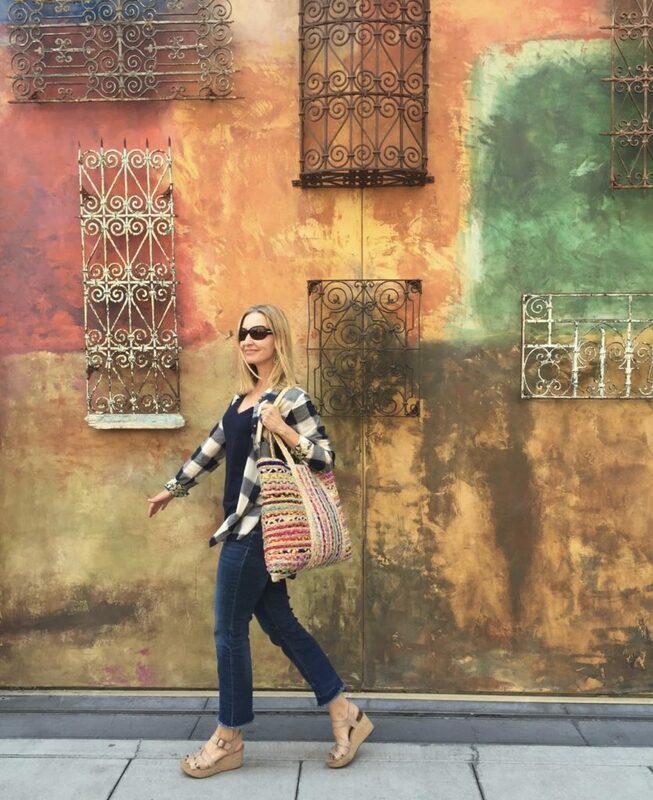 Love the bag and your tote! 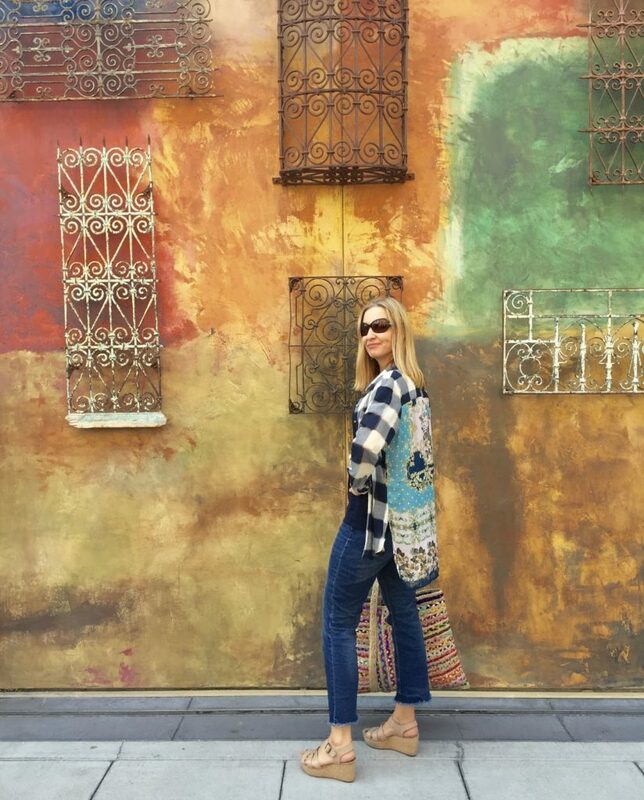 So much to love in this post… that bag is such a nice size and so vibrant, too! I really love your top as well… and I don't know the blogger that is in Redbook, I need to check her out! Love the background, gorgeous. Where were you here? Fantastic tote from Uncommon Goods, so colorful! 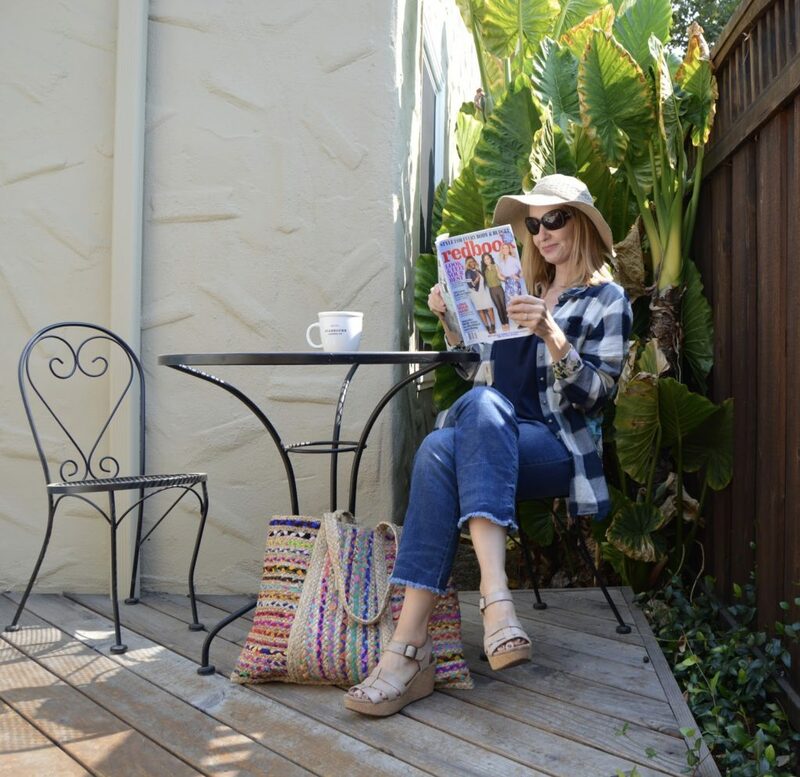 Great outfit and love the fun tote!